And Cancer it is! And a boy. William and Kate – formally known as the Duke and Duchess of Cambridge – welcomed their new arrival today at 4:24 p.m. London time, according to a press release from Kensington Palace. Birth charts of babies often mirror those of their parents. William was born at the New Moon in Cancer, and Kate at the Full Moon in Cancer, so my gut feeling was that the baby would be born on the New or Full Moon in July (or maybe late June). William’s mother, Diana, also was a Cancer, and she had Mercury retrograde in Cancer. Baby Cambridge held out until after Mercury returned direct on July 20. However, that means Mercury backed up far enough to form a tense cardinal T-square with Uranus and Pluto. I’ll talk more about that in a minute. But first, let’s look at the “Big Three” – the Sun, Moon, and Rising signs. The new prince has the Sun at 29 degrees Cancer, Moon at 28 degrees Capricorn, and 27 degrees Scorpio Rising. It’s not uncommon for children to have the Moon in their mother’s Sun sign, and that is the case here. His Moon also is widely conjunct Kate’s lunar South Node, often used in a chart to indicate past lives. He’s got ties with his great-grandmother, too. Queen Elizabeth has 21 degrees Capricorn Rising. 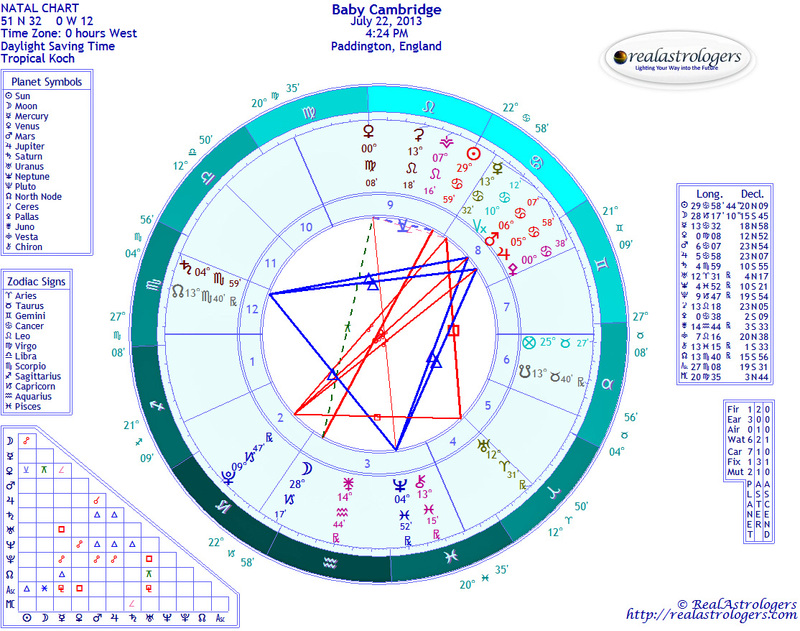 Baby Cambridge also has Mercury conjunct Daddy’s lunar North Node, another sign that there’s strong karma in play. His Ascendant also is near the degree of Grandpa’s Sun (that would be Prince Charles). It kind of gives you the sense that this family has been around the incarnational block together a time or two. Moon in Capricorn can be tough for a child, as it can be shy and reserved, with feelings of isolation, no matter how much love and attention the child may receive. But Moon in Capricorn can also be very wise, with a strong sense of duty and responsibility. Rising Scorpio also can be quiet and introverted, all the more likely with chart co-rulers Mars and Pluto in introverted signs. More importantly, Scorpio is the sign of rebirth and transformation, and this chart strongly suggests a leader who will transform and revolutionize. This could refer to societal institutions and likely the monarchy itself. The baby’s lunar North Node also is in Scorpio. Not only will he play a role in changing society, but it’s his purpose in this lifetime. All of that would be exceptional enough, but this baby’s chart is extraordinary in other ways, as I predicted in my video earlier this year. Not only is he born under a rare and special grand water trine, but there’s also a tense cardinal T-square. A near exact conjunction of Mars and Jupiter forms a bridge between these two very different configurations. As I mentioned in my weekly forecast, Mars and Jupiter are conjunct not only by latitude but also in declination. In other words, they will be extremely close to each other in the sky, which isn’t always true of conjunctions. This makes the aspect all the more powerful and strongly suggests Baby Cambridge will grow up to be a powerful leader, whether as king or in some other leadership capacity. Historically, this combination in the birth chart of a prince was considered a good sign that he would be a strong king, bringing the country wealth and military might. Queen Elizabeth has a close conjunction of Mars and Jupiter in Aquarius. Mars and Jupiter also form a cardinal T-square with Uranus and Pluto, although it’s still a bit wide. Mercury, which came out of retrograde in Cancer on July 20, is at a closer angle. Uranus and Pluto are in an epic alignment that will continue through 2015 and is reflected in our turbulent times. All children born this summer will carry the spirit of these times into the future. Born in a tumultuous era of global change, they will have an uncanny ability to transform conflict and impossible problems into dynamic, constructive solutions, in their own lives and for society, too. They will be intuitive and compassionate, but they will not be afraid to shake up the system, whatever form it may be 20 to 30 years from now. I initially favored July 8 based on an announcement by the palace that the baby was due around the 13th. Turns out that was early. In my video, I did mention the Full Moon on July 22 as a possibility, although it would have made Baby Cambridge a Leo … well, except that the Sun enters Leo just two hours before the Full Moon (4:56 p.m. London time), so technically it was possible to have a Full Moon baby and a Cancer, too! And so it is. A few days ago, as I was contemplated the possibility of a 29 degree Cancer birth chart, I looked up the Sabian symbol** and got quite a jolt. A Daughter of the American Revolution, with the keyword INHERITANCE. Now, if you read the whole text, it has to do with fiercely maintaining the status quo, no matter what, and Cancer is one of the more traditional signs. But taken in context – an American contemplating conservative American values – it’s hard not to read revolution into this symbol, especially when the chart itself has the unmistakable marks of sweeping change. 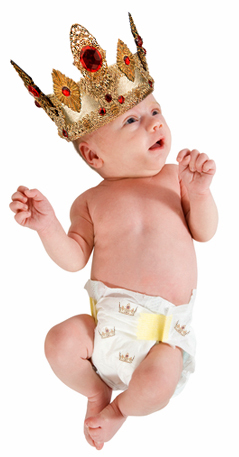 Until recently, British law decreed that the heir to the throne should be the first-born son. 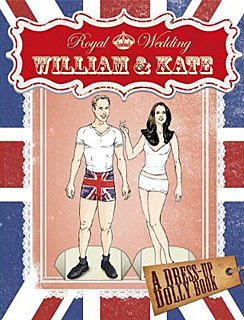 The law was changed effective October 2011 so that the oldest child, whether a boy or a girl, would inherit the monarchy. It’s a moot point for now, since the firstborn is a boy. Then, it’s not like this kid is going to get anywhere near the throne anytime soon. After all, Charles is still waiting for Mummy to give it up, and William is only 31. 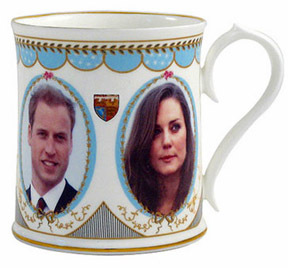 And, for all we know, the monarchy may be on its way out, anyway. Just because England has had a king or queen for more than 1,000 years, doesn’t mean it always will, and judging from this kid’s chart, he will play a pivotal role in the revolutionary years to come. This entry was posted in Birth chart, Celebrity News and tagged Baby Cambridge, celebrity astrology, celebrity birth charts, celebrity couples on July 22, 2013 by Pat. Julian Assange hardly needs an introduction. Pictures and stories about “The Man behind WikiLeaks” appear on the web, in newspapers, and in national news around the globe. I will not attempt to unravel his whole life’s story here, like the turmoil of his childhood or his failed marriage. I will concentrate on the context of recent events. Can astrology help us understand what’s happening to him? Are his motives as pure as the snow that Arctic winds are driving past my window right now? Or is Julian Assange an unscrupulous international terrorist? Some interested parties certainly would like us to believe that. I have yet to hear him being called a devil, but then – the label “terrorist” pretty much fits that description, doesn’t it? Well, let’s start at the beginning. Julian Assange reportedly was born on 3 July 1971, 14:05, in Townsville, Australia (view chart here). This birth time, from a source who contacted The Mountain Astrologer, is only one of several that have been published, but appears to be the most reliable. Sun and Moon are well connected, which is usually at the basis of a well-integrated personality. The ninth-house Sun points to publishing and foreign countries. This is someone who wants to know what’s going on in the world and who is looking for the bigger picture. Someone like this is usually interested in philosophies, universal belief systems, international relations and politics, to name but a few. Also – and I bet most of you didn’t know that – in the ninth house the Sun is in its joy, Here, it can happily shine straight from the heart and be the teacher, leader, peacemaker. This area is traditionally called the House of God – read “the Divine” if you wish – and people with this placement often feel their work and their very existence are steered by a higher power meaning to affect large groups of their fellow human beings. Assange likely wants to share his accumulated knowledge with the family of mankind, a very Cancerian approach. In doing so, he doesn’t mind shocking the recipients of his information, because he is marching to his own drummer and feels driven by a force that is bigger than the individual. The square aspect between Sun and Uranus indicates a multitude of innovative ideas that lead him to act in unexpected, challenging and rebellious ways – and to get himself into trouble doing so. With Uranus in the eleventh house, these actions likely involve or affect large groups of people, directed at social reform as they are. And last but certainly not least, Uranus is the planet that signifies modern technology, computers and the internet! Meanwhile, eighth-house Venus in Gemini loves factual knowledge and the power that comes with it, not to mention a good gossip. And if knowledge is power, secret knowledge is even more so! Or, vice versa, secret knowledge revealed may topple unjust powers that be. As we all know by now, Mr. Assange has whole-heartedly embraced that approach. But that doesn’t mean Assange can’t keep a secret! His Scorpio Moon and the Scorpio Ascendant speak of secrecy and self-sacrifice. Both find secrets interesting and both are capable of keeping them forever. Under this strong influence of highly sensitive Scorpio, we also see a man whose “gut-feelings” may reveal future developments to him long before they actually arrive. Impersonal feelings could be at the basis of his outlook and his actions. This could be the love of truth or compassion for every living being or, conversely, a deep-rooted negativity or fear. 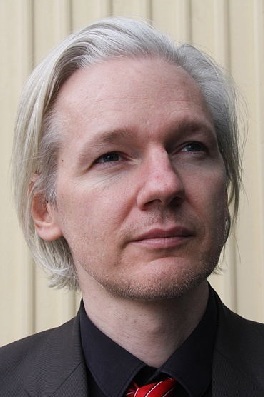 Whichever may be the case, the Scorpio Moon forms a tense and active connection with Assange’s Leo Midheaven; there has always been the potential that this man would one day become famous for revealing secret information. This is also a signature for powerful “secret enemies” who can make his public life rather difficult – QED. Assange’s chart ruler is Mars, situated in the fixed air sign Aquarius in the fourth house. It shows us a man whose actions are determined by carefully applied, logical thinking. The fourth house relates to home and family, and the Ascendant ruler in this position indicates a rather private person. Since Mars also rules the sixth house, this person could be working from home. 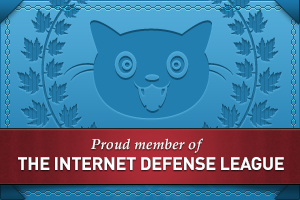 But here, Mars also forms a tense connection with the Ascendant and indicates an inner controversy between private leanings and public duties, which is further documented by Assange’s first house planets. With magnanimous Jupiter in the first house, one just isn’t “private,” but often has to fulfill the role of teacher or mentor for others in some way. Jupiter in the first house wants to be seen! Especially with sensitive, compassionate and collective Neptune close by, there is a potential to become a teacher and saviour to the masses. But Neptune often indicates a victim/saviour pattern that can work both ways. One of his biographers recalls from personal experience that Assange “creates an atmosphere around him where the people close to him want to help keep him going” and puts this down to Assange’s charisma. See here first-house Jupiter/Neptune at work! Interestingly, this latter conjunction is in opposition to natal Saturn. Situated in Gemini and ruling Assange’s third house of communication, this Saturn strongly indicates struggle and conflict around being a “savior” and spreading news. In the seventh house, it promises that Assange’s communications can evoke strong open enmity and even lead to legal consequences – again, QED. Please note that the Jupiter/Saturn opposition is part of the 30-year cycle between these two planets. Collectively, this cycle describes global economic and political developments. If an individual has one of the pivotal points of this cycle (the conjunction, the square or the opposition) emphasized in their natal horoscope, their life will be strongly affected by it, or he or she will even be involved in shaping related events. In Part II, we’ll have a look at transits to his natal chart as events unfolded, and I’ll have some predictions for Assange’s extradition hearing scheduled for February 7 and 8. This entry was posted in Birth chart, Celebrity News and tagged celebrity birth charts, Julian Assange, mundane astrology on February 5, 2011 by Pat.